On a Norwegian auction site I recently saw the book pictured above as part of a lot. 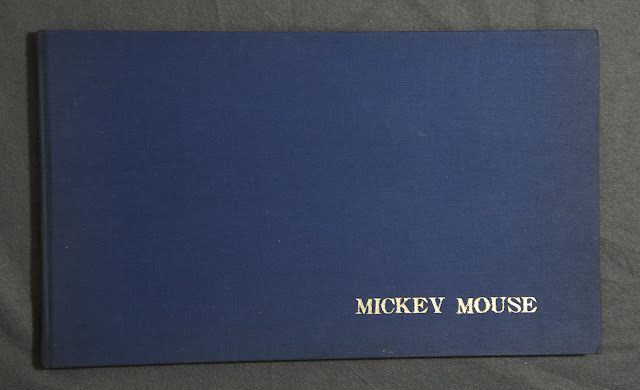 Only the blue cover with "Mickey Mouse" was shown with no additional details, so I had no idea what book this was. When trying to find out my curiosity grew more and more, and in the end I just had to make a bid! Well, now I have the book in my hands and can solve the mystery. I half suspected it was a privately bound book or hoping it was one of the early rare bound edition of the German Floyd Gottfredson collection (from before the Comic Buch Club portfolio edition). It turned out to be something else, but it’s still a rare book I believe. 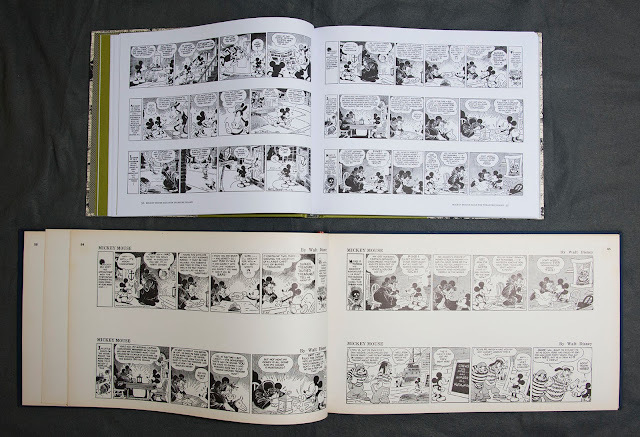 The book is a collection of all 1932 daily strips with Mickey Mouse except the Blaggard Castle ones starting Nov. 12 and onwards. 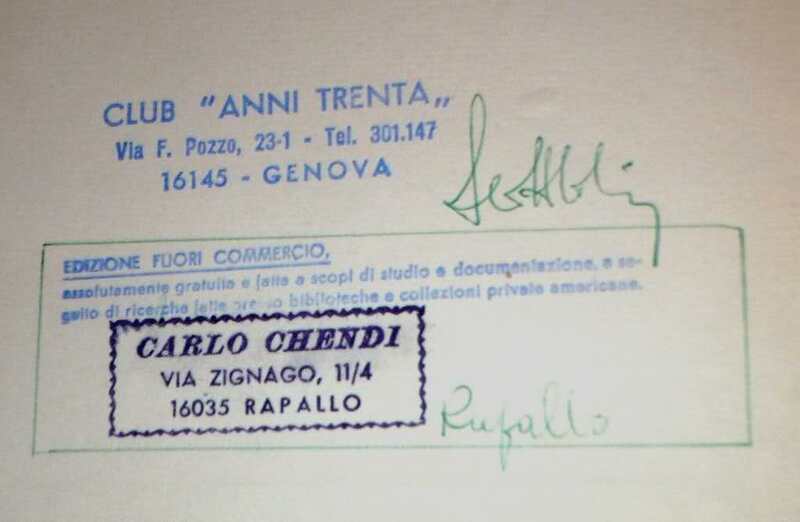 All strips have the original English dialogue, but the book is published by the Italian Club "Anni Trenta" probably in 1971. Copie in tiratura limitatissima, strettamente riservate ai Soci che se ne ripartiscono le spese, di cui è vietata la vendita in edicola e librerie. In limited edition copies, strictly reserved to the shareholders that they share the expenses, which are prohibited from sale in newsstands and bookstores. So it sounds like the book is only published and distributed to the members of the club, and was not for sale in any bookshops. Searching the web I found some more information. 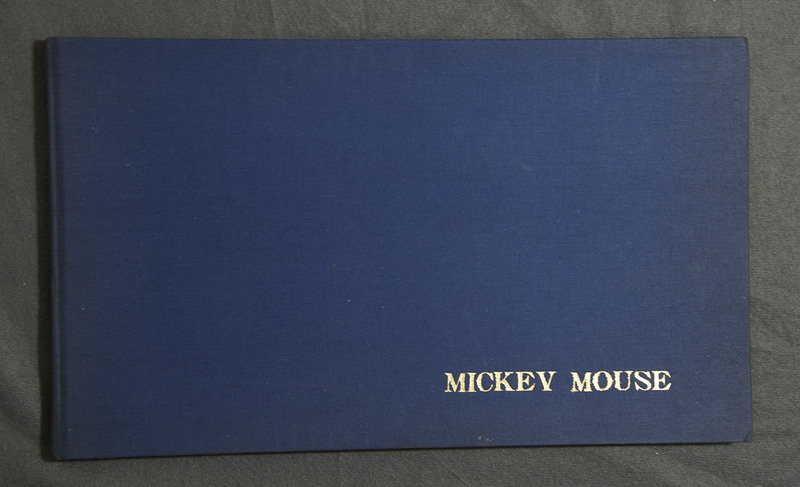 According to a forum post on papersera.net a softcover edition with a white cover and the cover title "Mickey Mouse 1932" also exist. And according to a post on another forum some copies have a stamp inside (my copy does not). I think the stamp say something about this being an edition out of print, a free copy (not for sale) and it’s for educational purpose, almost like the text on the copyright page. It’s a really nice book, and the printing quality is good too. And the strips are printed a lot larger than in the Fantagraphics collection. Copie ub turatura limitatissima, strettamente riservate ai Soci che se ne ripartiscono le spese, de cui è vietata la vendita in edicola e librarie." There are three typos in your transcription: "ub turatura" should be "in tiratura", "de" should be "di", and "librarie" should be "librerie". I hope it helped you. I won't translate it again since your Google Translation text is perfectly understandable. Thanks, I corrected the transcript now.